Ash brown hair is a modern variant of brunette hair that is blended with cool grey tones. 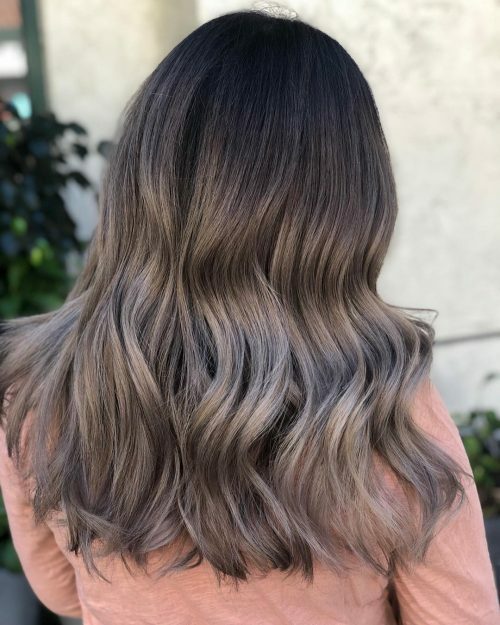 Sometimes referred to as mushroom brown hair, this multi-dimensional hue is a favorite for being not too harsh, especially on fair to medium complexions with cool undertones. 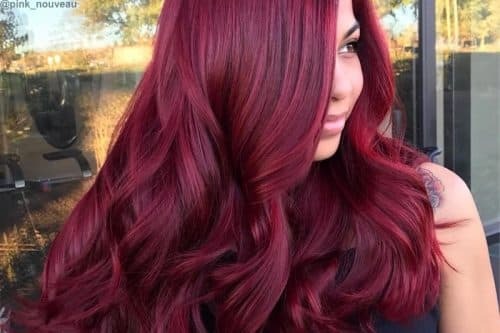 Some shades can be produced with at home hair dye. 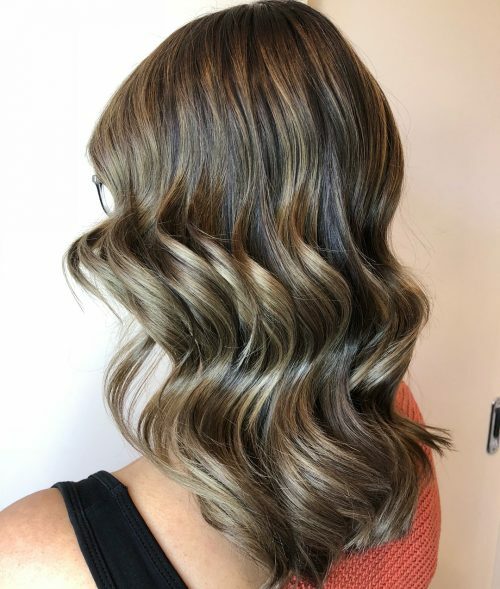 You can create a fresh smoky brunette look with a silky and smooth balayage, a full-on dye job, an ombre, some subtle highlights, or even with just the tips of your hair. From light, medium and dark ash brown shades, this chic color will always give your tresses amazing depth and dimension. This look certainly takes brown hair to the next level by adding a cool haze and giving it life. It’s also a must for those who do not want too much commitment, as this faded color requires less upkeep compared to its vivid counterparts. If you have naturally dark hair, you’ll likely first need to start by lightening it up by using bleach. This could take an extra coloring session or two. 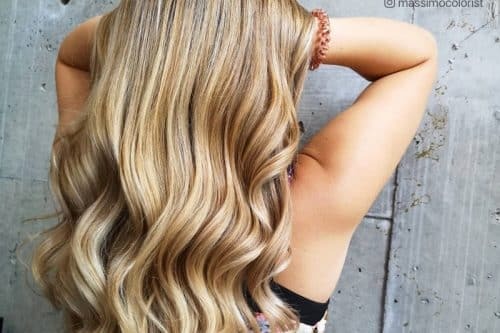 If you have naturally lighter hair, one coloring session should be all you need. 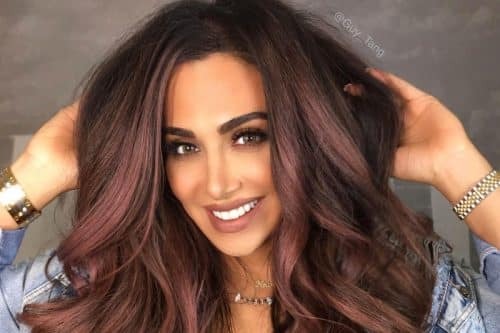 Browse through the gallery below to determine which color style you’d like – balayage, ombre, highlights, dip-dye, etc.. 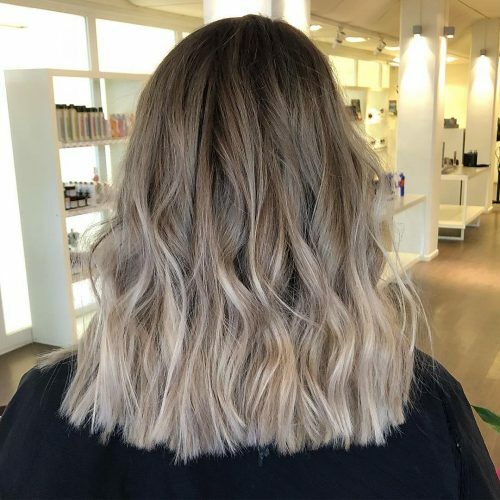 Consider getting a balayage for a low-maintenance, natural look. Invest in a good color-preserving shampoo. 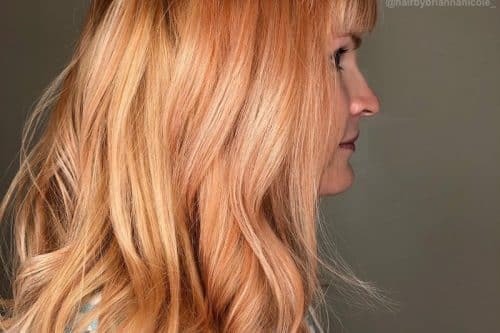 Ask your colorist/stylist for some suggestions. Always wash your hair with cold water to help your color last even longer. 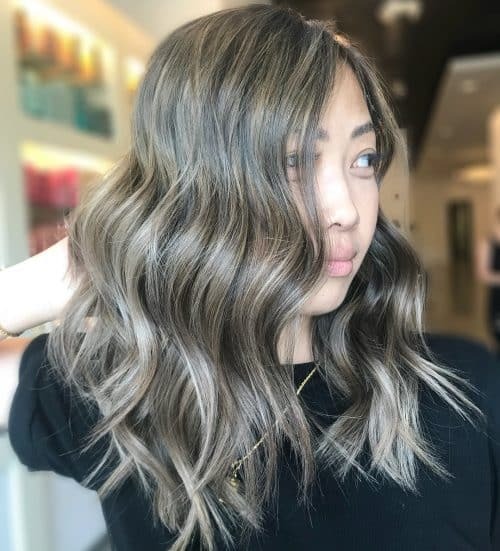 Get this cool hue by first checking out out these popular photos of ash brown hair colors before your next appointment! 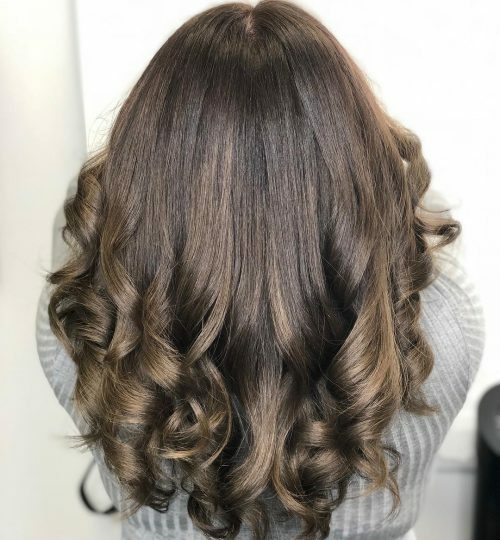 Brown hair doesn’t have to be boring! Subtle highlights can do wonders for your overall look and brighten your complexion as well. 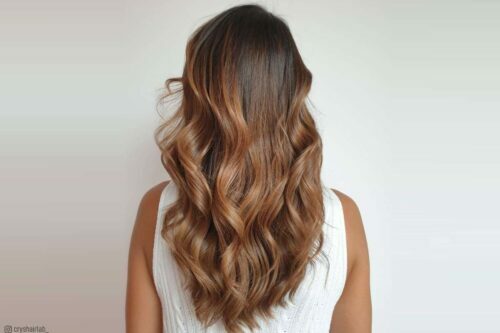 This style lets you have the best of both worlds with its deep brunette base and those luscious babylights! Style with flawless waves for a more accentuated and dimensional effect! Experience the undercut pixie trend with this cool muted ashy brunette hair! The solid coloring on her straight hair gives a soft and shiny feels. The dark roots blending finely into very light choppy ends is giving us the chills! 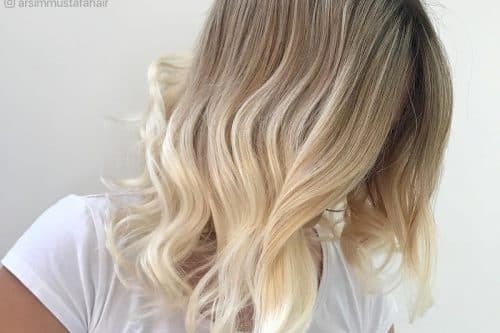 A balayage like this works ideally on any hair type as long as there is some length to it. These contrasted and dimensional babylights are super amazing on beachy waves! This is one easy idea on how you can freshen up and give life to your dark naturally colored mane. 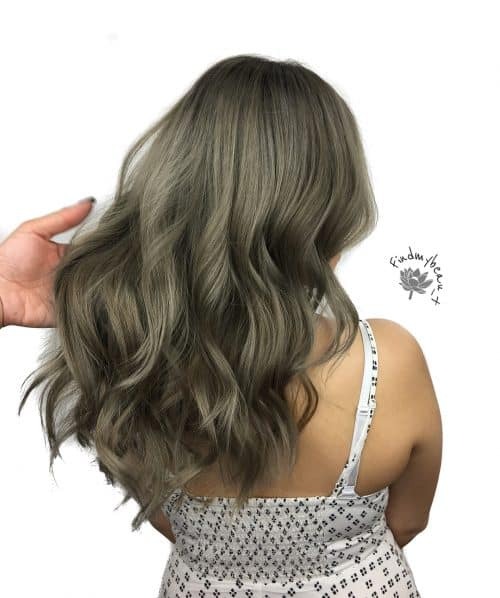 Get a fantastic transformation when you paint your straight hair with a lovely smokey grey hue with hints of mocha for added depth. The effect of this chic color melt on straight hair is absolutely pleasing to the eye! 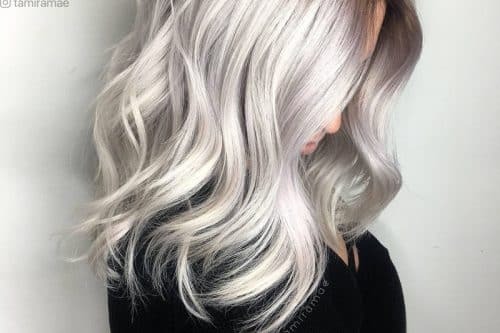 We’re super obsessed with this popular mushroom silver hair! The way those soft waves fall accentuates the dimension perfectly. 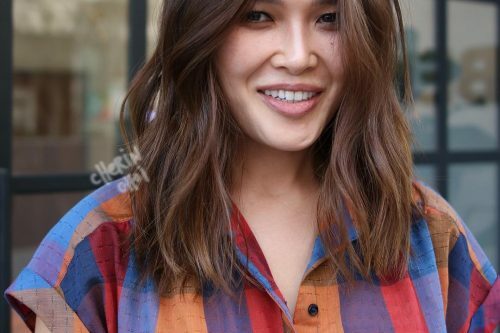 Fall hair should be everyone’s goal this season, and this soft and deep caramel balayage is one to take note of! 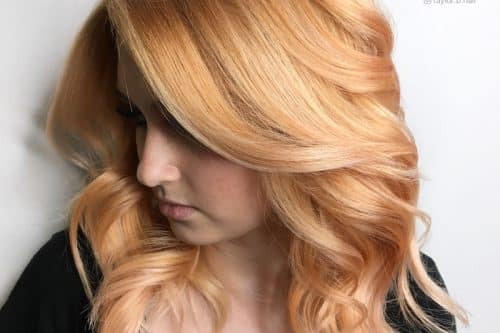 Play with the smoothness and shine this color provides by styling your hair wavy at the ends. 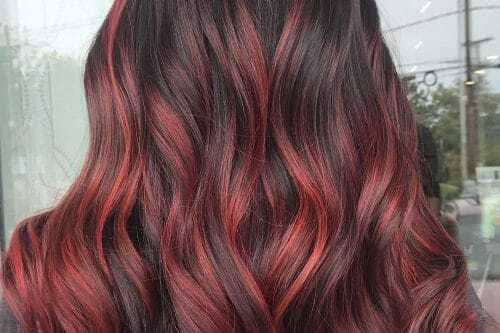 Here’s another lovely ombre idea for girls who wants a stylish yet low maintenance hairstyle! Add some beachy waves to completely take advantage of this shade’s edginess. 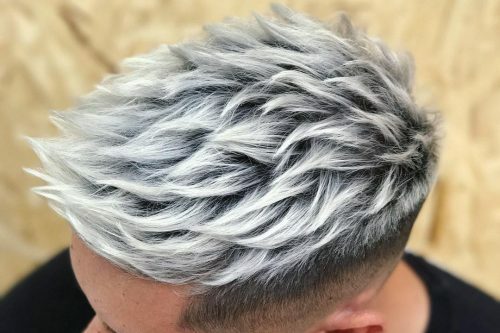 Silver ash brown hair adds a unique element to any hairstyle but can look dull if not done correctly. We’re head over heels with this beautifully done lob with babylights and a smokey brown ombre. 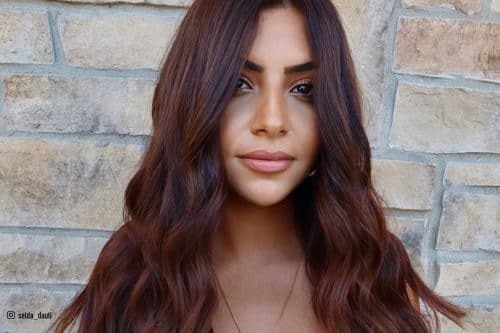 This is one chic way to upgrade your classic brunette look! 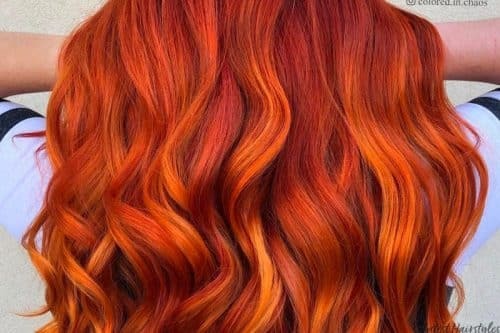 At home hair dye might get you this amazing color but a colorist will create magic. Start the trend with this gorgeous smoky ombre with babylights! Notice how the colors fade seamlessly from dark to mocha to a muted brunette. No need to worry about maintenance if you have natural jet black hair! 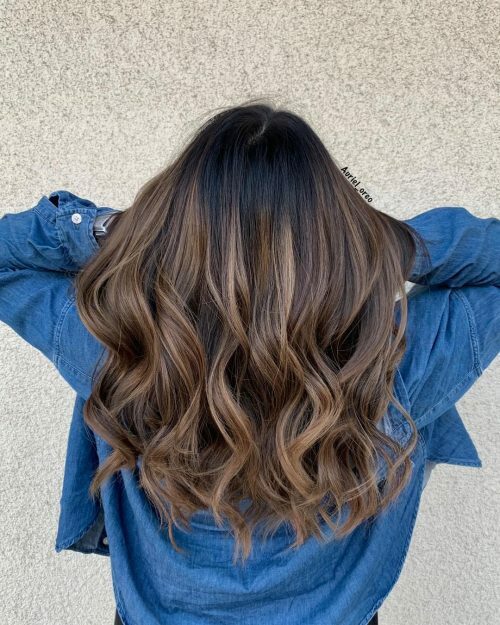 Do it like this cute mocha color melt that screams of dimension and volume! 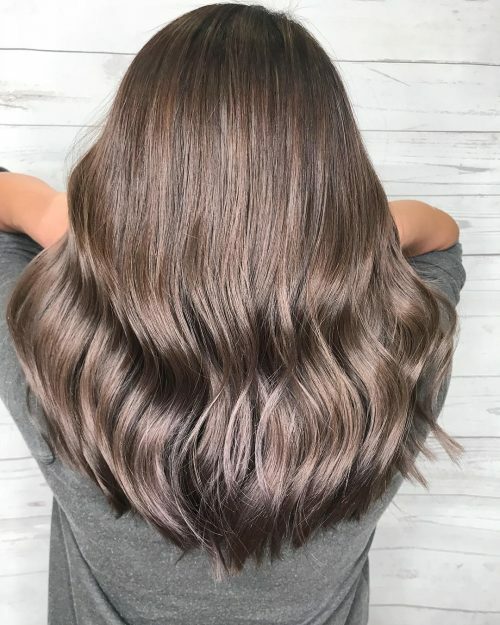 This is a medium ash brown or mushroom brown hair. 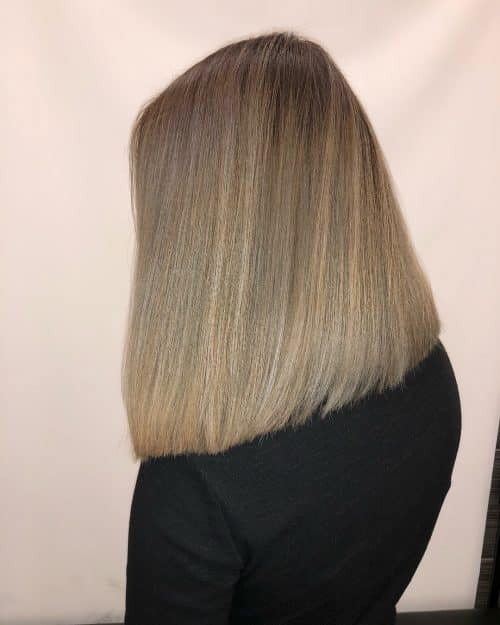 The greatest thing about doing this color is to give the client who likes a natural looking, low maintenance hair while adding some long layers, and refreshing those split ends to smoothen and shine the color more. The most enjoyable movement is to finish the haircut and color with some beach waves to give the client incredibly chic looks. Be sure to look at the various shades available for ash brown hair color before finalizing your hairstyle choice. 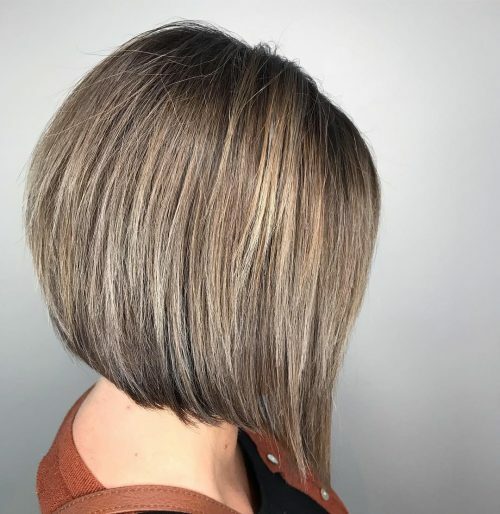 If the client wants to change up the hair color because it is too warm, too cool, or too plain, this medium ash brown hair color is one of the most natural looking ways to pull it off. 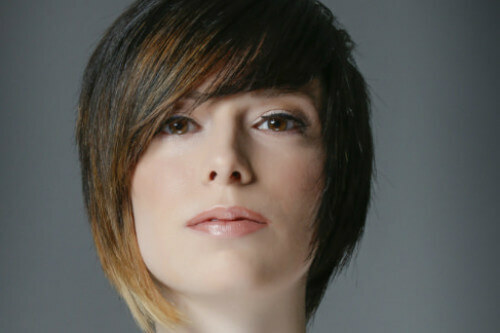 For this look, we were going for a mushroom brown color with a textured, soft lob haircut. The loveliest part is all the dimension and cool balayage highlights we achieved. They complement her base color perfectly! Go for it! I think this color is great for people who want something different than your typical “brown” but aren’t wanting something too bold or bright. The great thing about lob haircuts is that they’re so versatile. 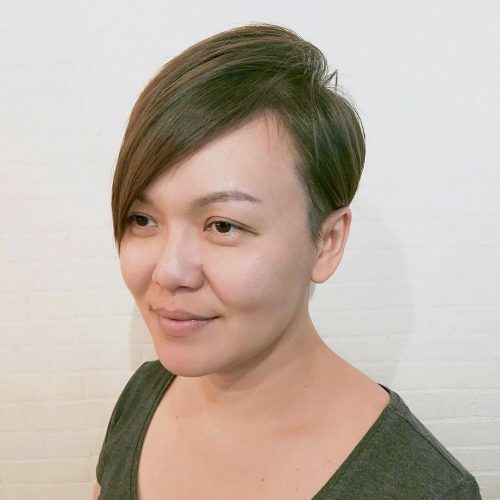 The length we went with complemented her oval face shape, but you could definitely do a longer version of this haircut if you don’t want to commit to going as short as we did. This look is a full global bleach out from roots to ends. My favorite thing about this ash brown hair color is that it’s very smokey and very wearable on many people. I would consider this color to be one of the most popular choices. I lightened her hair evenly from roots to ends to a level 9 pale yellow first utilizing a low volume to ensure maximum healthiness of the hair. I pretoned her hair with Guy Tang Mydentity Colors Express toners in misty mauve and titanium+6vol for 5 minutes on damp hair. After the pretone, I completely dried her hair and processed with applying her base color which is 6ig+6ss+6vol about 1 inch out. After I have completed the roots, I began color melting her second formula which was 9ig+8ss+6vol throughout her mids+ends and let process for 25 minutes. Rinsed, conditioned, and styled with a 1.5″ wand. Have decently healthy hair to begin. 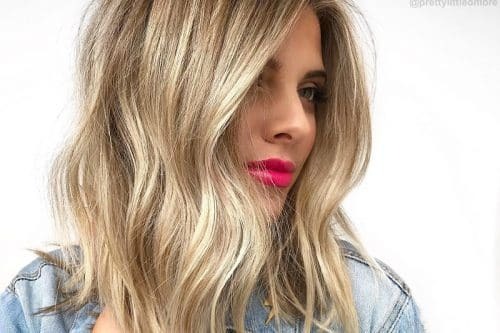 Having this color is very high maintenance and your hair will need to be lifted very light in order to achieve this tone (think of the inside of a banana). 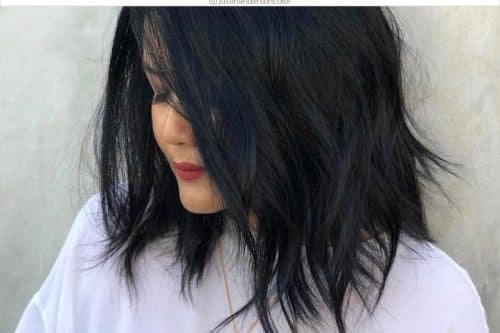 Clients wanting this look will need to be back at the salon every 4-6 weeks for root touchups to maintain consistent color. At home maintenance is crucial to maintaining hair health such as deep conditioning treatments, proper professional shampoos, limiting hair washes to two times a week, and utilizing heat protectant/leave-in products to maintain maximum healthy looking hair. 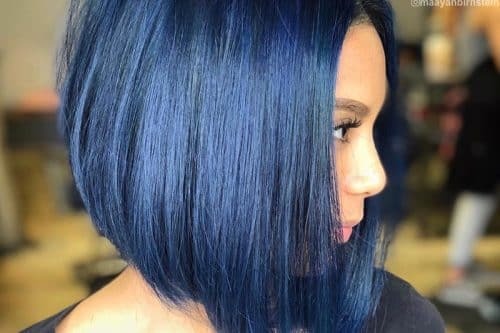 To enjoy hair like this is a lifestyle change and requires a lot of maintenance on the clients part but is totally worth it. Healthy fun hair is always possible if you invest time and take care of it.